The Saxxy Awards are Valve’s annual celebration of the Source Filmmaker community and their efforts to make short films using the Source engine and Valve’s game assets. The community has been producing better and better stuff since the tool was released three years ago, and this year’s winners, nominees and honourable mentions are all worth ruining your productivity over. OK, time for a truth bomb: I haven’t played Team Fortress 2 in age– *KATHOOOOOOOOOOOOOOOOOOOOOOOOOOOOOOOOOOOOOOOOOOMMSPLURSHHHHHH* Oh jeez, wow. That was actually a regular bomb lightly sprinkled with truth. My bad. I’m gonna need to un-bury John and Alec from the wreckage momentarily (Graham was out, and Adam is immune to explosions), but quickly: I haven’t played Team Fortress 2 in quite some time, but I still get excited about updates. Why, you ask? Because Valve always delivers brilliant laughs on top of them. Go below for delightful text and a gruesomely enjoyable video of the new, Medic-immortality-granting Two Cities update. James McVinnie has been making machinima for years, for the Half-Life modding community, for BioWare as a cinematic director on Mass Effect and Dragon Age, and more recently for himself. His Source Filmmaker short, Practical Problems, was a finalist in the comedy category at the 2012 Saxxy awards. 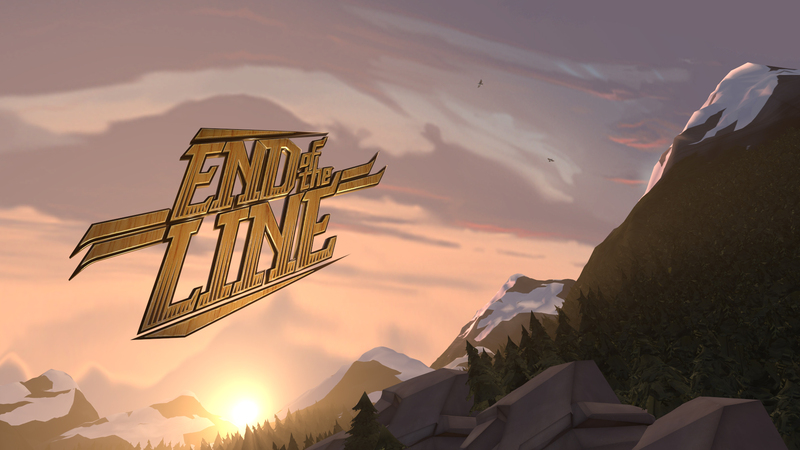 His latest project is End of the Line, an eight-minute Source Filmmaker short due out early next year. It again stars a cast of Team Fortress 2 characters, but it’s more ambitious than any SFM short I’ve seen before. 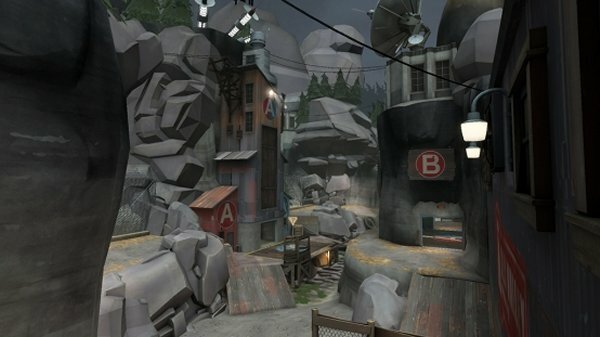 A minute-long trailer released in August garnered so much attention that Valve have asked McVinnie and his team to explore creating an official community update for Team Fortress 2 to coincide with the film’s release. I don’t want to make any jokes in this post, because doing so would make me feel like the rubbish, nervous compère trying to entertain the crowd before an amazing comedian, for instance Bruce Forsyth or Jim from Neighbours, comes on. TF2 is a funny game, with funny promotional material around it. It is definitely funnier than I am. Funny like a clown, yes. 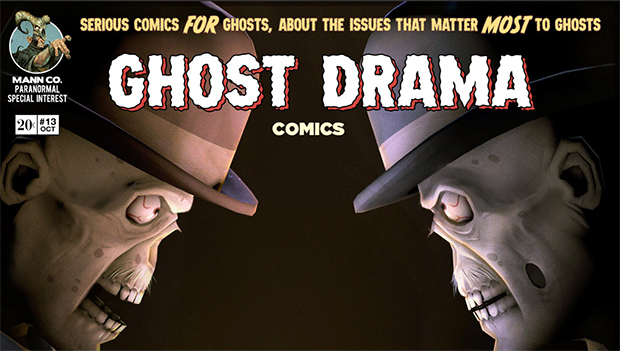 For instance, this comic, heralding Valve’s shootybang game’s mysterious but surely impending Halloween update. By page two, it’s triumphed with its concept of ‘toilet wine.’ On page five, it’s got bald ghosts pinching each other’s noses. Then there are raccoon sanctuaries, and wills made of human skin and… And, well, yes, very good. Get your secret decoder rings out, make sure you have access to a librarian with a murky past, and would it kill you to put on some tweed? Team Fortress celebrated 17 years of being Team Fortress on August 24th, which Valve completely missed. To sort-of-but-not celebrate this occasion, they’ve made a new comic starring everyone’s favourite sky-diving CEO, Saxton Hale. Part one is long and here, and there’s more to follow. This is typically when Valve pulls some sort of trick on everyone, so I’ve saved the blogpost, and sent a copy via carrier pigeon to CERN. If they can’t figure out if anything’s been secreted away, then no-one can. Valve also added a new crafting tool into the game, and it’s pretty Strange. There are some things that need to fixed in Team Fortress 2. Valve explain: “Unfortunately, as players’ tactics and abilities have grown, so have the bugs and exploits in some of the maps. 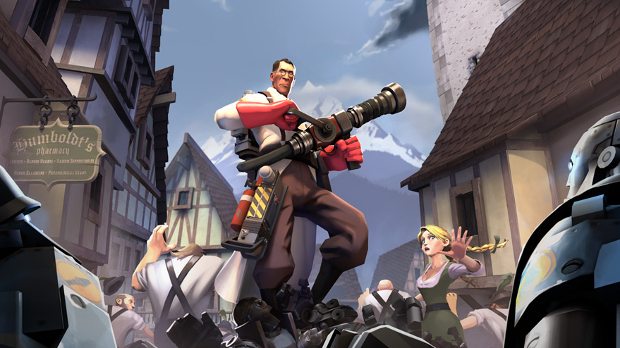 For example, since Badwater shipped in The Heavy Update, TF2 has added more than 140 weapons to the game, some of which introduced new capabilities: sentry jumping, rocket jumping with no health cost, the ability to pick up and move your buildings. All of these are just a fraction of the many ways players can now turn maps like Badwater upside down.” But there’s also some content on the way, too, with two new maps appearing: ” Introducing two all-new Capture Point maps: Process and Standin. Beyond a great polish, both of these maps offer unique and exciting gameplay; Process with its five streamlined Capture Points and Standin with its triple Cap Point free-for-all.” The new maps are by community mapper Ian Cuslidge, so congratulations to him.